I have a day free of Jury Service, so I am researching the letters of William Cowper for a display in June this year. He describes his summer house, which you can still see in the garden of what is now the Cowper and Newton Museum in Olney. LXIV. 25 June 1785. To Joseph Hill. 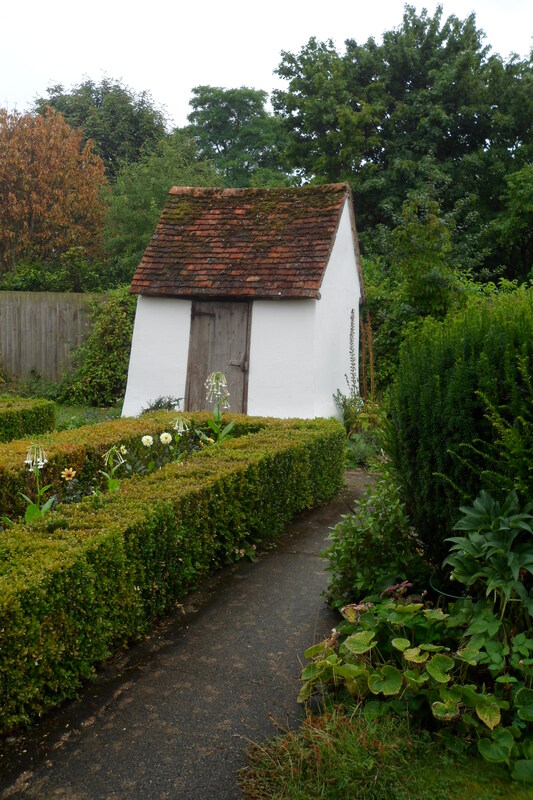 Cowper’s Summer House in the Garden of the Cowper and Newton Museum, Olney. I write in a nook that I call my Boudoir. It is a summerhouse not much bigger than a sedan chair, the door of which opens into the garden, that is now crowded with pinks, roses and honey-suckles, and the window into my neighbour’s orchard. 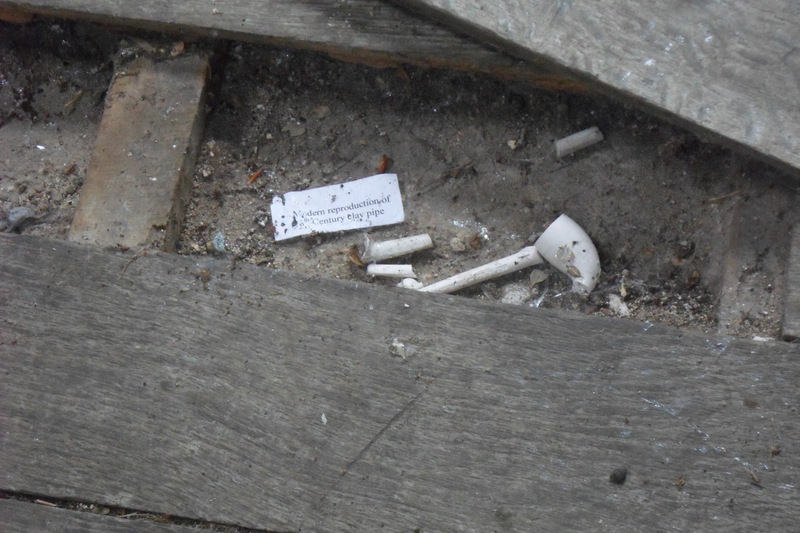 Are the pieces of pipe the debris from the time that the Apothecary used the house for a smoking-room?